I was at SM Masinag last night with my husband. 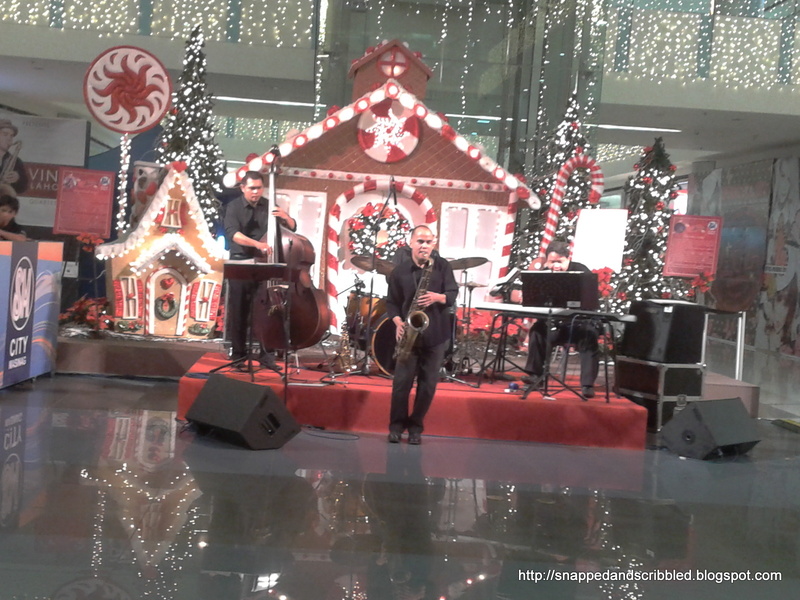 As we entered the mall, we heard beautiful jazz music played at the activity area. Had we known about the quartet show, we surely had arrived at an earlier time. I googled about the quartet upon arriving home and glad I found their site. The jazz ensemble is a young group. They will be celebrating their 3rd Anniversary next month. The ensemble members are Vince Lahorra on saxophone, Mel Santos on piano, Dave Harder on bass and Lawrence Nolan on drums. The gig last night was so great. Such talented performers. I just wished though SM provided chairs because the people had to endure two hours either standing or sitting on the floor. But even with such inconvenience, the wonderful musical treat was all worth it. I love all the songs they played. 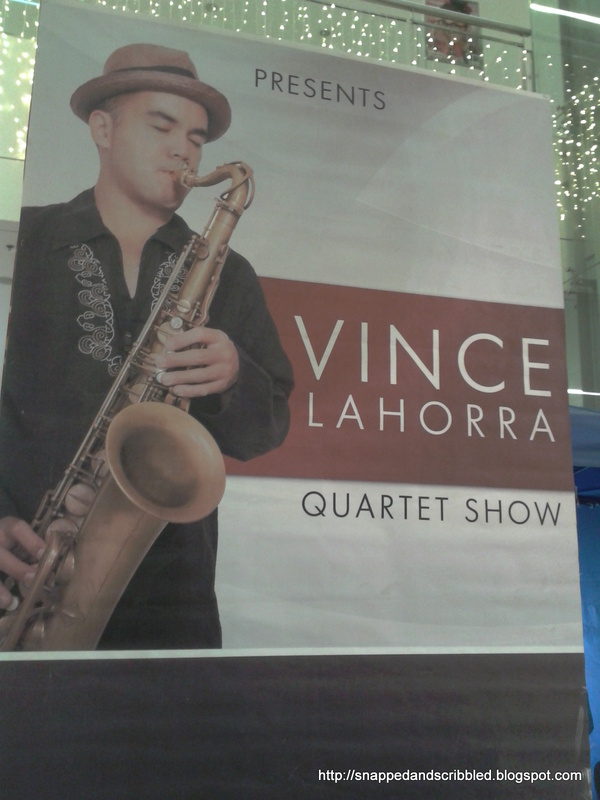 How I wish to hear them play my favorites -- Feels So Good by Chuck Mangione and Wave by Antonio Carlos Jobim. I was able to record them playing Jose Mari Chan's Christmas In Our Hearts. I have piano sheets of most of the songs they played and I can't wait last night to go home and "jazz" them up. You can hear them play at Rockwell Power Plant on November 18 and 25, 1130am to 230pm. Visit their website for updates on their gigs.